On Wednesday, homebuilders to the stars Joe Brennan and Daniel Greenglass turned their 8,000-square-foot converted-church townhouse in Little Italy into a private pop-up museum, stocked with 25 rarely seen works of art. The concept came to them while travelling in Palm Beach, where Wendy and Elliott Eisen, national co-chairs of the Canadian Friends of the Israel Museum, invited them to host a fundraiser for the Jerusalem institution. When David Mirvish heard about the idea, he offered up pieces of his own art collection, and suggested Brennan and Greenglass enlist art advisor and former AGO curator David Moos, who offered to track down more masterpieces from private collections across the city. Here’s a look at what happened—and five of the works on display—inside Brennan and Greenglass’ palatial home during the Gatsby-esque production. The evening’s 200 guests mingled in the cavernous hall. A ticket cost $1,800. Brennan, right, watched from the staircase as James S. Snyder of the Israel Museum addressed the crowd. Proceeds from the evening supported a program that grants children free admission to the museum. Developer Alan Menkes shared a laugh with David Mirvish, an honorary chair of the event. Event co-chairs Kimberley Newport-Mimran and Joe Mimran. (Janice and Earle O’Born were also co-chairs.) Look at those shoes. On the menu: tiny tacos. Lichtenstein was a pioneer of Pop Art alongside Andy Warhol. 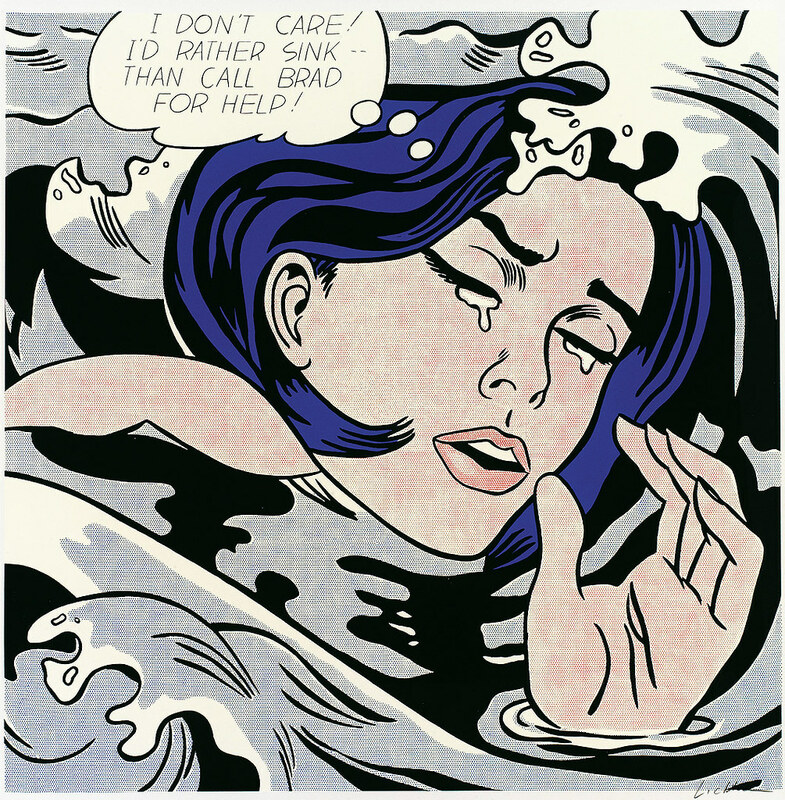 He challenged the definition of high art by painting comic strips—most notably his seminal 1963 canvas, Drowning Girl. Later in his career, he created this brush-stroke painting, a more impressionistic reference to that earlier piece. Motherwell was the youngest member of the New York School, a group of avant-garde artists in the 1950s and ’60s. His abstract art is known for colour planes punctuated with minimalist lines—on terrific display in this diptych. Katz, 89, has a thing for faces, especially his wife, Ada’s—he has been painting portraits of her for a half-century. This is one of them. These dramatic human figures are a part of a distinctive series from the late British sculptor Lynn Chadwick. Each of the pairs were cast in bronze and feature strange, pyramidal heads.